Elena Benedicto is an associate professor in the department of English in the College of Liberal Arts. Professor Benedicto grew up as the first child of a family of immigrants in Barcelona, Catalunya, a region in the Northeast of the Iberian Peninsula, where both Catalan and Spanish are spoken. Growing up bilingual, Professor Benedicto is especially interested in the theoretical tension between the wide range of language diversity and the narrow commonality of abstract principles cross linguistically, she is interested in formalizing the parametrization of linguistic grammars as well as the creation of multiple grammars in multilingual individuals. The Heritage Speakers: At the intersection of Language Development and Maintenance, and Language Ideologies project is being conducted in collaboration with Professor Morita-Mullaney (College of Education) and Carmen Octavio and Nan Zhang (Research Assistants, School of Languages and Cultures). The project combines a variety of interactive methodologies to address the social and formal aspects of dual grammar formation in bilingual individuals: the effects of linguistic ideologies in accepting/rejecting the (socially) non-dominant language, and their correlation with the development and maintenance of the linguistic structures of both the (socially) dominant and non-dominant languages. The project looks at bilingual 5th graders in two contrasting environments: in an immersion school, supportive of full bilingual practices, and in a mainstream school, where only the use of English (the socially dominant language) is supported. 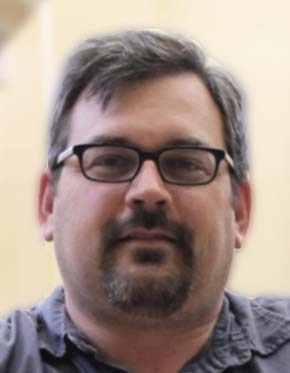 Rich Dionne is an assistant professor and faculty technical director, specializing in scenery automation and show control systems, as well as the department production manager in Purdue Theatre. Professor Dionne has a passion for both the art of theatre and the science and engineering of making theatre happen. Rich is a founding Faculty Fellow of the Purdue Polytechnic Institute, and has served as the technical director for numerous productions in the Department of Theatre. During the next year, Rich will be working with colleagues in Computer and Information Technology, Dance, and Theatre to develop a live dance performance to music that will be composed by an artificial intelligence algorithm “listening” to the dancers’ heartbeats, respiration, and movement, and using those as stimulus for the music. He hopes that this will lead to further exploration of the ways in which electronic sensors and artificial intelligence could open up possibilities for scenery, sound and lighting to interact and respond in real time to live performers. Rich was awarded the 2016 Global Synergy Research Grant. Scott Feld is a professor in the department of sociology in the College of Liberal Arts. Professor Feld's research project is Reducing Bias in Empirical Research by Utilizing Replication to Estimate Extent of Bias Produced by Common Practices In Social and Behavioral Sciences.